In fact, it is normal when you start to try a new thing to do it for free if it is possible in order not to lose money as you do not know how to use it. The same thing happens in hosting blogs as it has become a traditional trend among new bloggers and beginners to resort to free hosting sites for getting their blogs hosted without the need to pay for this. 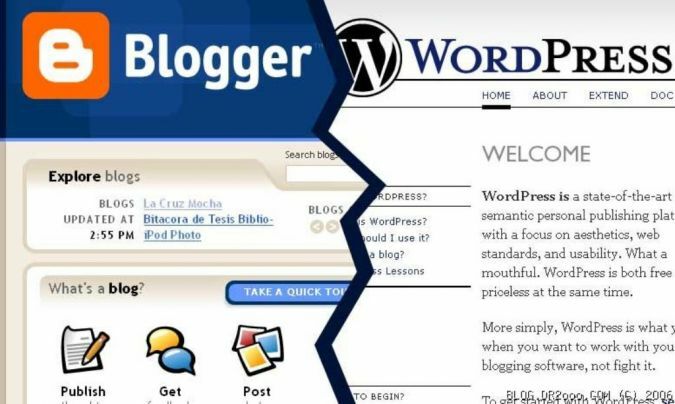 One of the most popular blog hosts that offers its service of publishing blogs and is used by many bloggers around the world for free is Blogger.com that can be easily used without requiring specific skills. At a specific stage, you may find that using free blog hosts is enough for you and can satisfy your needs but over time you will find that your needs and thoughts improve and change, so you may need to change the way by which you have your blog hosted. The features and services that are offered by the free hosting are few if they are compared to what is offered by paid hosting. The most important question here is how to move a free blog from Blogger.com or free hosting to paid hosting that can meet your growing demands. – Decide your needs: Before starting looking for a paid hosting site, you will first need to decide your requirements that force you to move from your current free hosting site to a paid one. There are many features that should be considered while you choose a hosting site such as the memory space, site builder, customer support and other features that can help you to achieve your goals. – Choose your new hosting site: There are many paid hosting sites that offer to host blogs at a specific price. The paid hosting sites differ from each other in the services and features that they present to their customers and the price that is offered. Determining the best paid hosting site for you is based on the quality of the features and services that are offered and whether they meet your needs and are satisfactory for you or not. The price is also important as it should be reasonable and affordable for you. You can choose a paid hosting site that allows its customers to start a small business and provides them with the needed facilities. – Post the new hosting site: After deciding the paid hosting site and before moving from your current free hosting site to the new paid one, you will first need to inform all of those who are on your current blog through creating a post and it is necessary to add a link for your blog on the new hosting site to allow the visitors of your current blog to visit your new one. – Start creating your new blog: After signing up with the new hosting site, paying the money that is required for the services that you will get and choosing a good domain name that can attract visitors to your blog, you will need to install a blogging tool that allows you to control your blog and develop it. 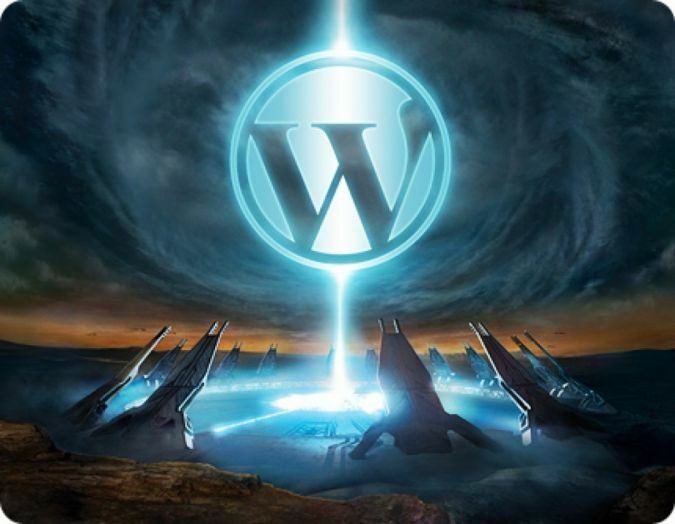 You can install WordPress that is considered to be the most popular blogging tool and is used by many bloggers around the world. 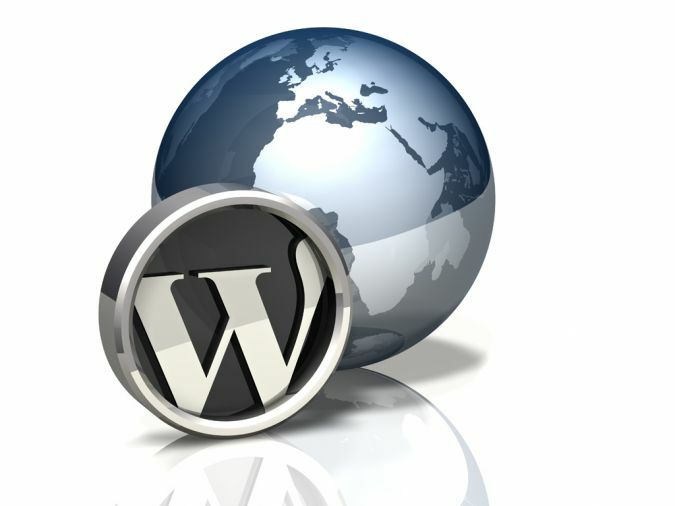 WordPress is the best blogging tool for beginners, but if you want to run multiple blogs then you can use b2evolution. – Customize your blog: Change the shape of your blog through choosing from many different templates or themes that are presented to you and can be customized to suit your taste. – Transfer your posts: After preparing your new blog, start transferring your posts from your old blog on the free hosting site or Blogger.com to your new blog. – Redirect the traffic: In order to redirect the traffic from your old blog to the new one, you will need to change the settings of the permalinks through the admin control panel. Do not forget to save the settings that you changed in order not to lose them and find yourself return back to the default settings. – Set the custom domain: You have to go to your old blog on Blogger.com to set the custom domain and the success of this step is essential for directing visitors to your new blog when they access the old one. One of the leading and most perfect web hosting companies that offers to host blogs is “Web Hosting Hub”. In addition to hosting websites, Web Hosting Hub offers to host your blog and presents to you too many features and solutions that encourage you to create your blog and start your own business without regretting doing that.The most important thing is that it provides you with a free domain name for the first year, so do not miss this chance, be careful and take your time when you choose your domain name because it should be attractive, expressive and easy to be remembered. Through Web Hosting Hub, you are provided with two of the most popular and perfect blogging tools that are used for hosting blogs and they are WordPress and b2evolution. WordPress is the most used and the most perfect blogging tool for beginners and for running just one blog, it allows you through the admin control panel to add blog posts, web pages, photos, moderate comments and free plugins. You also have b2evolution which is the best choice for running multiple blogs and it provides you with integrated statistics, built-in search engine optimization to have your blog optimized and improve its position in search engine results, custom skins, advanced categorization, complete file manager, workflow management and it also helps you control multiple blogs. Whether you are going to install WordPress or b2evolution, you are allowed to customize your blog through installing the add-ons from your admin control panel directly and easily. You have different themes, skins, plugins and widgets from which you can choose what suits your taste. Web Hosting Hub offers additional services to its customers such as free Premium Website Builder, unlimited disk space, unlimited bandwidth, host unlimited websites, cPanel control panel, unlimited MySQL databases, unlimited e-mail accounts, spam safe protection, McAfee e-mail protection, 3 Web-Mail clients, e-mail forwarding, e-commerce tools, over 280 free applications that are necessary for developing your blog and can be easily installed with just one click, script auto installer, unlimited FTP accounts, unlimited sub-domains, unlimited parked domains, 2 web stats programs, web-based file manager, password protected directories and free backup wizard. The company offers to its customers one of the most advanced and easy-to-use control panels which is cPanel and you also get Softaculous which is a leading script auto installer that allows you to install several popular scripts and applications that are necessary for developing your blog easily and quickly with just one click without the need to have a prior coding or programming knowledge. Web Hosting Hub guarantees a high performance for the servers through using PHP Caching, increasing the amount of RAM in its servers, using suPHP for more security and through running the latest versions of MySQL 5 and PHP 5 which ensure the servers to be up-to-date and increase their efficiency. It also provides you with the needed protection through offering password protected directories, free backup wizard, spam safe protection and McAfee e-mail protection. The company provides its customers with a perfect 24/7 support that is presented by a professional and friendly staff who is ready at anytime to offer the needed support and answer all of the questions that you have. There are many support channels through which you can contact the support staff such as live chat, e-mail, phone, support ticket system, knowledge base and video tutorials that can provide you with the needed information and help you to increase your knowledge. Web Hosting Hub provides its customers with a 90-day money-back guarantee and this offer helps you to keep your mind peaceful. This guarantee allows you in 90 days to try the services that are presented to you to make sure that they are beneficial and satisfactory. In case you find that you do not get what you need or that the services which are presented are not satisfactory, then you will get a full refund without losing anything. Finally, Web Hosting Hub is the best solution for you to get your blog hosted through a paid hosting site. It provides you with the needed services, blogging tools for beginners and advanced bloggers, perfect customer support, a 90-day money-back guarantee and more at a reasonable and competitive price which is just $4.99 per month (or $3.99 using following discount link). Do not miss this chance and start creating your new blog with Web Hosting Hub through using WordPress or b2evolution according to your needs. WPSubscribers Plugin Review – 5 Features That Will Inspire You! My WPClicks Plugin Review – The Greatest Features For Webmasters! EasyAzon review – What You Should Avoid!